Paul Ryan says discharge petition to force DACA vote would be a "spectacle on the floor"
House Speaker Paul Ryan opposes a maneuver being attempted by fellow House Republicans who are trying to force a vote on immigration legislation, since Congress has not been able to legislate a fix to the Deferred Action for Childhood Arrivals (DACA) program earlier this year. Their efforts are doomed to be vetoed, Ryan said Thursday. 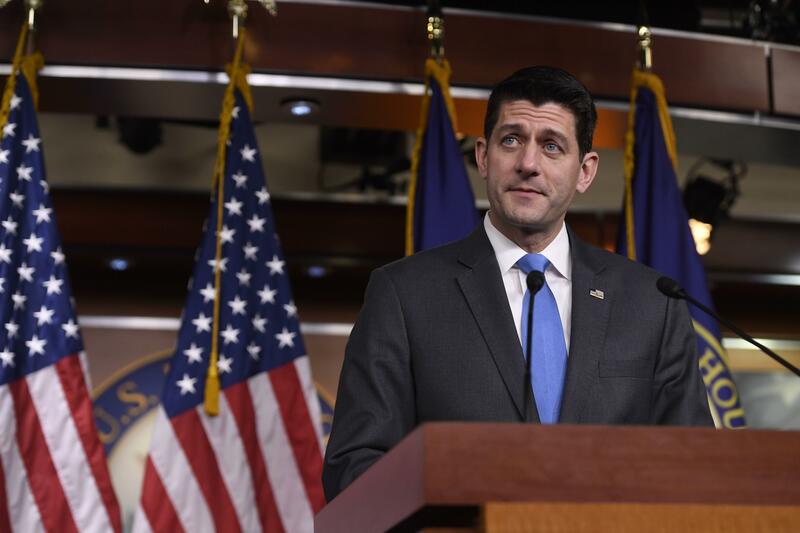 "Having some kind of spectacle on the floor that results in a veto doesn't solve this problem," Ryan told reporters at his weekly news conference on Thursday. He added, "We never want to turn the floor over to the minority. What I don't want to do is have a process that just ends up with a veto. We actually want to solve the DACA problem." Several House Republicans have filed a discharge petition to force a vote on immigrationl, CBS News' Rebecca Kaplan reported. Reps. Carlos Curbelo, R-Florida; Jeff Denham, R-California; and Will Hurd, R-Texas, filed the petition Wednesday. If they convince a majority of the members of the House to sign on, they can force a vote on their bill that allows what's known as a "queen of the hill" vote on four separate immigration bills: A more conservative immigration bill sponsored by Reps. Bob Goodlatte, R-Virginia, and Mike McCaul, R-Texas, that passed the Judiciary Committee; a version of the DREAM Act sponsored by Democratic Rep. Lucille Roybal-Allard; and the bipartisan USA Act sponsored by Reps. Will Hurd, R-Texas, and Pete Aguilar, D-California. The "queen of the hill" is the bill that receives the most votes, and that would be the one to advance to the Senate. Ryan told reporters that Congress is going to have a work on a bill that's bipartisan in order to gain the necessary support from President Trump. "That's what we're working on right now -- a bill that deals with DACA and deals with security and deals with all the other issues that can get some Democrats and get a presidential signature," said Ryan. Ryan said that while he'd like to have some kind immigration vote on the floor before the midterm elections, he would like to "fix this issue" and wants to vote on something "that can make it into law." "I don't want to have show ponies. I want to have actual law, and that means the White House has to be a part of this, and it has to be a bill that the president can sign," Ryan said.